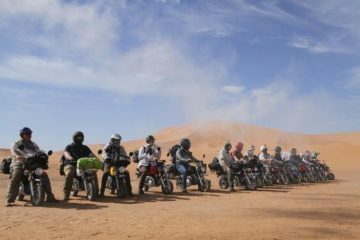 With its fantastic off-road opportunities, spectacular mountain scenery and the vast open plains of the Sahara, Morocco has long been a mecca for adventure bikers. A wilderness like no other, the siren call of the trail riding in Morocco is unmistakeable, drawing us adventure bikers in like moths to a flame. We got together with the guys at Fly and Ride, a motorbike transportation company, to find the crème de la crème of trail riding in Morocco. 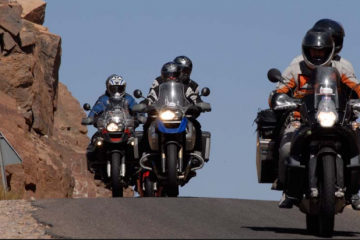 The Fly and Ride service enables you to fly direct to Malaga in southern Spain, where your motorbike will be waiting for the short ferry crossing into Morocco, and onto the trails beyond. 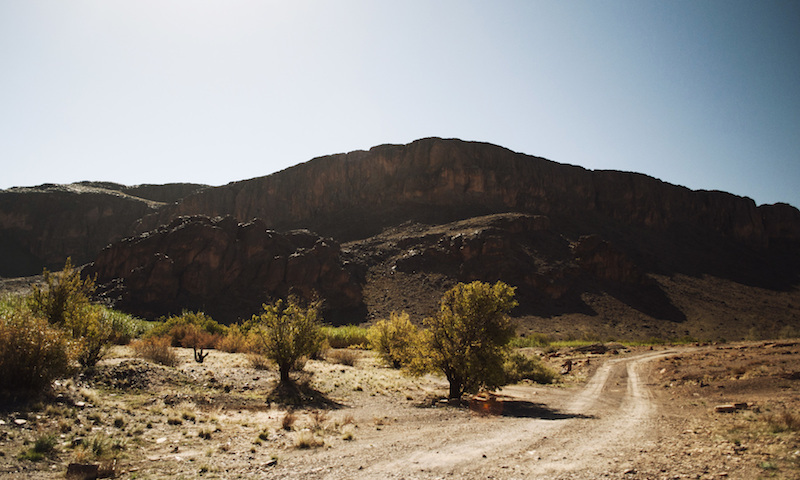 There are several prime trail riding regions in Morocco, which we have detailed below to give you an idea of what to expect. Each region offers an incredible smorgasbord of terrain and scenery to devour as you explore, with off-roading opportunities aplenty. If you’re riding to the south of Morocco after crossing the Strait of Gibraltar from Spain, you’ll typically encounter the Rif mountain range first. These mountains are wild, unpredictable and the roads through them are quite often unpaved, with adventure waiting around every hairpin bend. 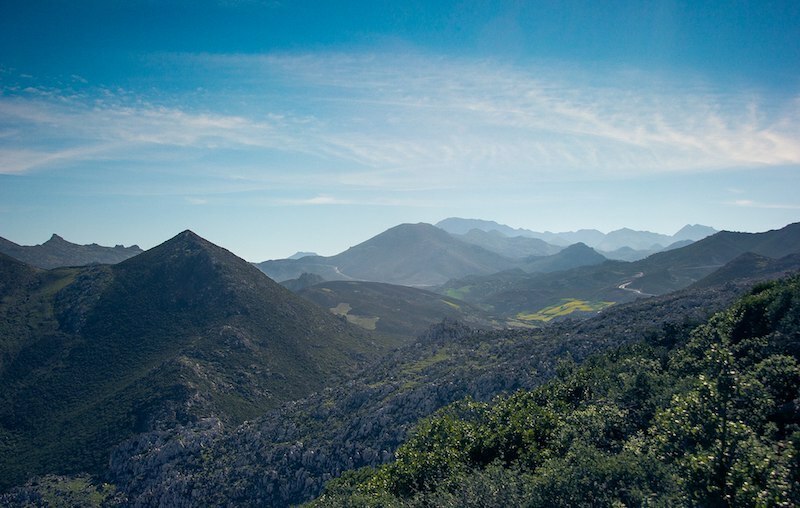 As the region is typically less visited than the famous Atlas ranges, you’ll find that tarmac is no certainty and you may find yourself off-roading at any given moment. Enjoy the lush, green scenery and excellent rocky trails of the region before heading further south. 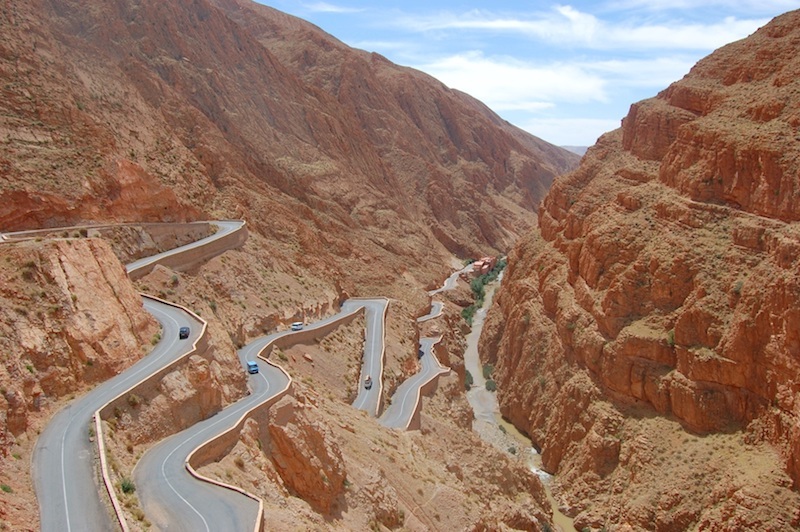 Reaching over 4,000m above sea level, these are among the highest mountains in North Africa, where the glorious scenery and rugged terrain will truly blow your mind. In winter, heavy snow can cause roads to close and many trails become inaccessible, so try to head here during the warmer months if you can. 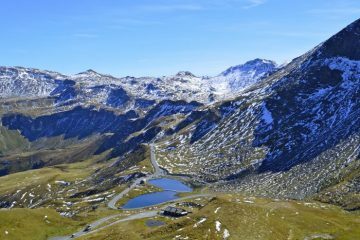 The well-known Tizi-n-Tichka and Tiz-n-Test passes are slicked with perfect tarmac, but rocky and unsurfaced pistes can be found throughout the region, such as the classic gorge to gorge route leading from Dadès to Todra. The town of Ouarzazate, known as the Hollywood of Morocco due to the location’s film studios, opens up to the Southern Anti-Atlas Mountain range and is a fantastic base for excursions into the region. 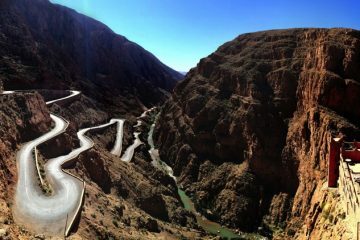 Dramatic mountain views from gnarly mountain passes will lead you to the lesser visited Anti-Atlas range, where you can easily find yourself piste-bashing through palm-clad canyons and traversing ancient rocky riverbeds to reach remote and untracked plateaus. Trail riding in Morocco doesn’t get much better than this. 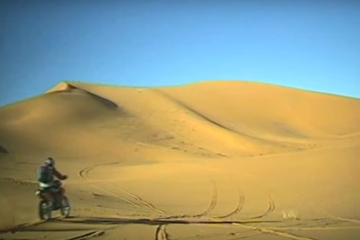 The Sahara Desert is an adventure playground like no other. Here you’ll find the tantalising sand dunes of Erh Chebbi and Merzouga, the vast salt flats of Lake Iriqui and the rocky arid plains on the fringes of the desert, all interspersed with ancient civilisations and fascinating Berber settlements. Any soft sand should be approached with confidence, and ensure you have your wits about you here, as a lack of landmarks in the desert can soon lead to navigational mishaps. The variety on offer here is the reason trail riding in Morocco has such a sensational adventure biking reputation. 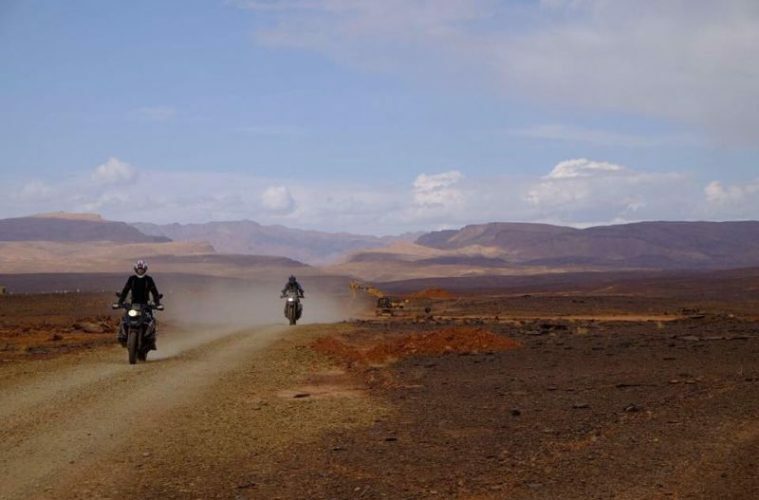 Getting your bike to Morocco to enjoy the unbelievable trail riding on offer can seem like a long and arduous slog through France and Spain – taking up valuable riding time on the pistes of Morocco. Luckily, Fly and Ride is able to do the hard yards for you by transporting your bike to southern Spain, where regular and reliable flights from the UK will re-unite you with your beloved machine in Malaga. From here it’s a short drive up the coast to the ferry terminal known as the gateway to Morocco in Algeciras. 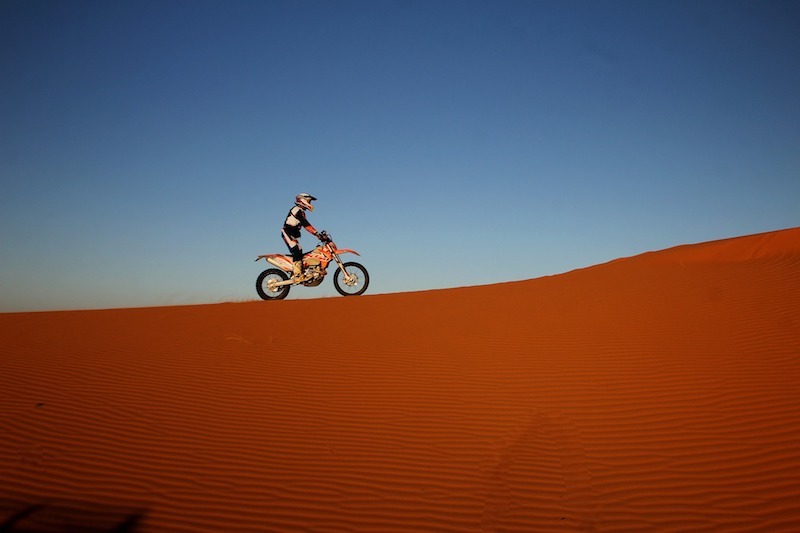 By doing it this way, you can even allow yourself a few days to explore the endless dirt tracks that cut through southern Spain that will serve as the perfect entry dish for the main course of your adventure over in Morocco. 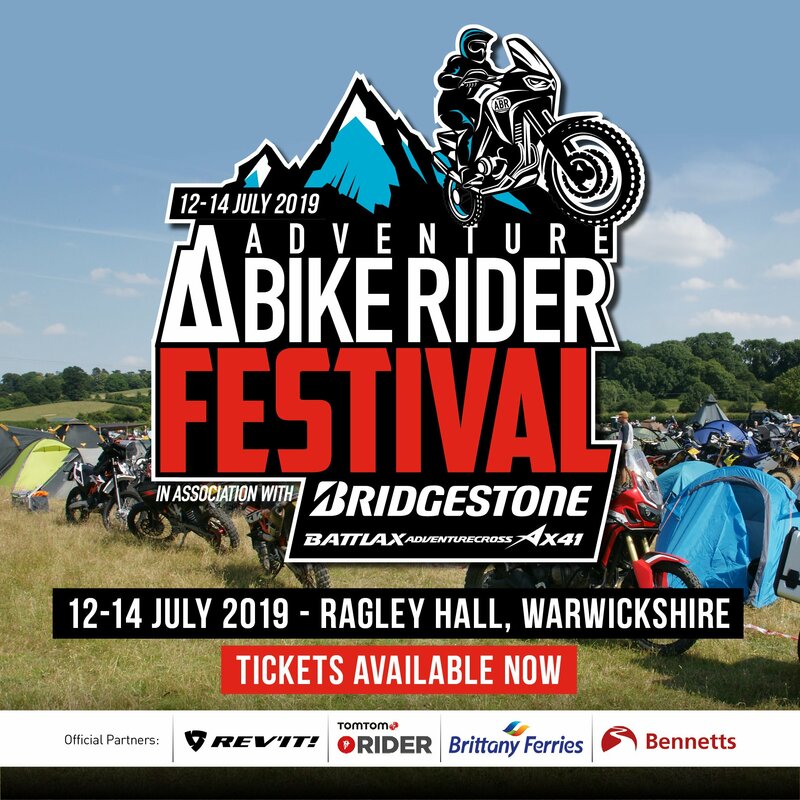 Alternatively, dealerships wishing to transport 20 bikes or more are able to choose from the majority of locations in Europe to any chosen hotel, where bikes will be delivered door-to-door. Customers arrive at the hotel to find their bike safely installed in the garage, complete with all their kit and suitcase delivered to their room. Fly and Ride’s last shuttle of the year leaves London Gatwick on 1 October, so there’s still chance to get your bike booked on for one last adventure in 2018. With the weather going the way it is, it’ll be nice to get some sun and enjoy warmer temperatures. Head to the Fly and Ride website to find out more.